1.feel or express great loathing for. 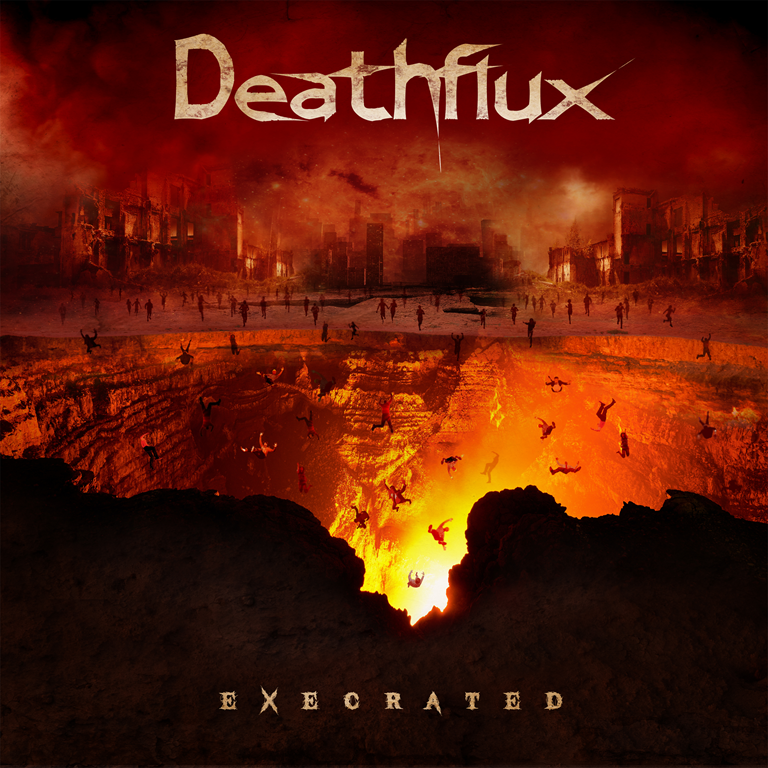 Nottingham-based Deathflux, formed a couple of years ago around guitarist Tom Clarke, articulate deep and unbridled loathing through their highly technical but relentlessly fierce brand of metal. They may curse too, but the snarled lyrics are only partially audible. To set their agenda clearly from the outset, the album’s first song is called ‘Bludgeon’. And it does, the stop/start guitars shudder against drums like machine gun fire to forge a blast(beat) or grindy abrasion. There are some wild guitar solos laid over the churning riffs, and there’s no let up in the seething fury that radiates from every note.